Are Allopurinol Side Effects Serious? Do allopurinol side effects worry you? Allopurinol is a powerful drug, so perhaps it is not surprising that many people worry. Stop worrying and learn how this medication really helps gout, as long as you use it correctly. I list the standard allopurinol side effects below, but before you look at these, you need to know about one side effect that is rarely explained properly. This is not a side effect of allopurinol as such, as it applies to all uric acid lowering therapies. When you lower uric acid properly, to a level that gets rid of old uric acid crystals, the melting uric acid crystals can trigger a gout flare. This is a necessary, though sometimes painful consequence of proper treatment. Don’t avoid allopurinol just because it might trigger a painful flare. This is one side effect that you should welcome, as it indicates that you are getting better. This effect will diminish, as long as you continue taking allopurinol daily and get your uric acid level checked frequently. If you take allopurinol you might get a gout flare. 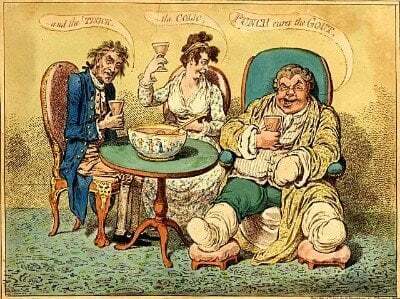 If you do nothing, you will get a gout flare. See below for More Allopurinol Information including more on the most common, but least discussed of allopurinol side effects: pain. Note that the side effects listed below are not experienced by everyone. Some are common, others rare, some people have no side-effects, or are happy to accept a little discomfort in exchange for the permanent relief from acute gout attacks. As with all treatments, you must decide what is best for you in your particular circumstances and you must discuss side-effects fully with your doctor before you start to take any drug and whenever you experience any adverse effects. The following list may not be complete – if you experience any other problem that you think may be related to taking the drug, then you must consult your doctor. To minimize allopurinol side effects the best approach is to start low. Some people should avoid allopurinol altogether. Get risk reduction advice now. Allopurinol side effects worry many people, so just how serious are they? Allopurinol dosage needs to be planned, measured and adjusted for different treatment phases. A standard 300mg dose might be just what you need – but make sure that it is set by diagnosis and judgment, not by dangerous guesswork. 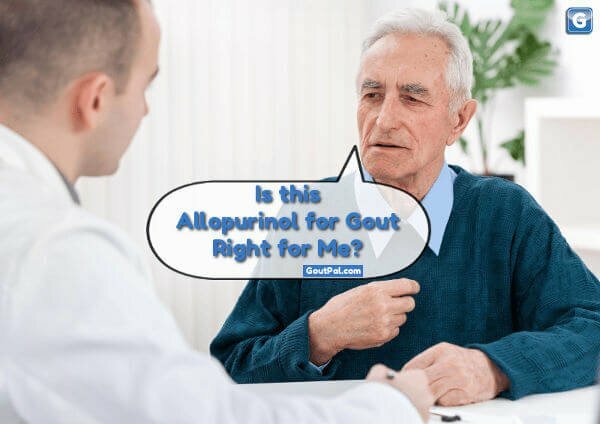 In-depth look at the management of gout using allopurinol. Though mostly used in gouty arthritis, the allopurinol drug has found to be useful for other conditions. Is this Allopurinol For Gout right for me? If you are aware of other alternative spellings, or if you have any questions or opinions about allopurinol side effects, please discuss them in the gout forum. See more in the allopurinol side effects guidelines.